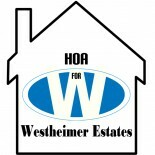 Happy Mother’s Day | Homeowners Association for Westheimer Estates, Inc. Happy Mother’s Day to all our Westheimer Estates Mommies! This entry was posted on May 11, 2014 by Westheimer Estates in Family and tagged community, Happy Mother's Day, westheimer estates.